Medical science and technology have made remarkable progress over the last few years, and there are currently no signs of slowing. But not all of these advancements have been universally welcomed by healthcare providers. Take, for example, the concept of “alarm fatigue” where providers are becoming desensitized to the ever-sounding beeps and blips from various monitors and devices. Electronic medical records (EMR) have improved care in many ways. No more are entire notes lost to illegible handwriting; potential medication interactions can be detected before prescriptions are sent, and massive amounts of information can be easily stored on off-site servers. But these benefits, along with others, are not without significant drawbacks. Documentation requirements imposed by third-parties can result in a seemingly endless cycle of clicks and data entry. Some EMRs are capable of electronically sending prescriptions for controlled substances. While making the process more secure, it requires yet another piece of technology called a “token” that allows the clinician to authenticate the prescription. The token provides a unique code that displays on a cellphone, smart-watch, or another peripheral device, but like the EMR itself, it draws the eyes and the focus of the clinician away from the patient. Another major limitation of EMRs is their inability to cross-communicate one with another. This space is highly fragmented while dozens of EMR vendors attempt to provide solutions in their own unique way. Unfortunately, it’s rare that two distinct EMRs can freely share information which ultimately makes them no more effective than paper charts in this regard. Many patients are also concerned about the invasion of privacy represented by large amounts of personal data stored in EMRs. Data breaches are becoming more common among retailers and those in financial services–it’s not unreasonable to think that electronic medical records could be next. The computer itself is an amazing tool, capable of running an advanced EMR, facilitating additional means of communication, and also serving as a source of up-to-date research and information. But when a wealth of information can be summoned with a simple web search, it’s easy to suffer from information overload or “paralysis by analysis.” Access to this amount of data can be key to providing relevant care but can also become a stumbling block, especially to the inexperienced or those who do not consider themselves computer savvy. As many tasks once completed on paper go digital, the clinician’s computer now becomes a popular destination for communications from pharmacies, insurers, and medical supply companies. Together with imposing requirements on encounter documentation, general administrative work performed on the computer can steal the majority of the clinician’s workday. Some medical practices are now making use of online patient portals, email, and even text messaging. These alternative methods of communication can be convenient and appropriate but do contribute to the loss of actual facetime between provider and patient. One must also consider the source of information gathered on the internet. Blogs representing personal opinion and paid advertisements can appear to be reputable, unbiased sources of information. Patients often “Google” their symptoms before coming into the office and can be negatively influenced by what they read from credible and uncredible sources alike. The internet can turn a conscientious patient into a hypochondriac. Discussing the cost of medical care is a delicate and complicated task. The technologies discussed here are no different. Each has its benefits but each comes at a cost. The rapidly accelerating cost of care is a regular headline. The cause of rising costs is multifactorial but cutting-edge tech does not come cheaply. The collective cost of the very basic technologies discussed here can be as high as $20,000 per provider, per year. After recognizing the issue, forming a specific plan will help combat technology creep. While it may not initially be cost-effective, some administrative tasks can be delegated to appropriate staff members. Careful planning can help reduce the frequency of automated refill requests and prior-authorizations. Scribes can help offload the burden of documenting the many required quality assurance measures. Efforts can be made to encourage as much face-to-face interaction between patient and provider as possible which may ultimately require smaller patient panels, increasing the length of appointments, and caring for fewer patients which may have an economic impact all of its own. It’s unlikely that any of these technologies will be going away, but it is imperative that they do not replace the genuine bond that patients and providers alike hold dear and that form the foundation of a therapeutic experience. Why Is EHR Interoperability So Difficult? 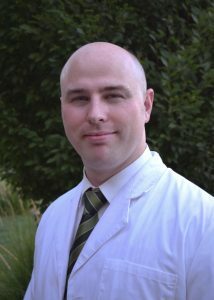 Russell Singleton, PA, is a practicing family medicine physician assistant, educator, and medical writer. When not in the clinic or the classroom, Russell writes about healthcare and healthcare reform. Russell is a strong proponent of Optimal Team Practice for PAs.